Dunn Street Farm Campsite is ideal for campers and caravanners planning a quiet break in the Kent countryside. 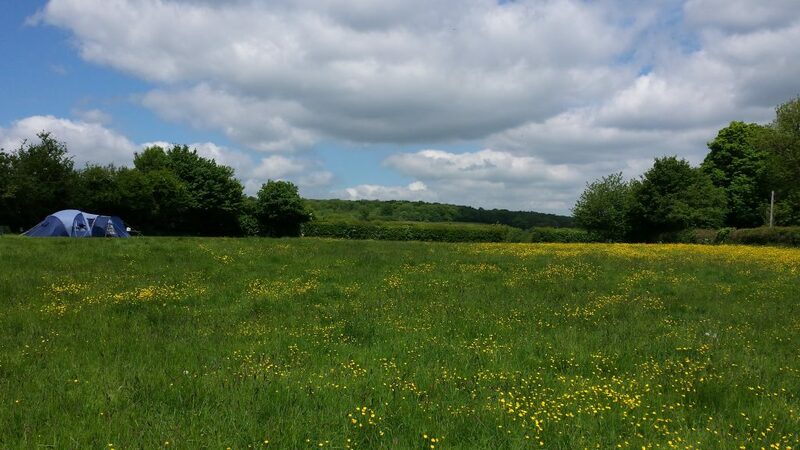 The farm is located on the North Downs Way above the village of Westwell and is surrounded by rolling hills and woodland. Dunn Street Farm is a perfect spot for a relaxing holiday and an excellent base for walking and cycling trips. We offer our visitors simple, clean facilities and lots of space. Children especially enjoy the site which has lots of room for outdoor games. We are a working farm with sheep, cattle and horses in the surrounding fields and chickens and goats around the farm yard. Our main camping field, ‘Strawberry Field’, is reserved for quiet camping by families and small groups. We are always happy to accommodate Duke of Edinburgh’s Award groups on our rally field, ‘Brocks’ Paddock’, and we have a good number of schools who regularly use Dunn Street Farm Campsite as a base for Bronze and Silver expeditions. Book and Pay Now (Pay online for an immediately confirmed booking of a pitch for up to 6 persons). Request a Pitch (Payment in cash or cheque on arrival, no deposit required, no cancellation fees, bookings subject to availability, confirmation usually within 24 hours). General enquiries can be made here.